Halloween is officially one week away! If you are looking for some last minute ideas and tips, check out ABC 15 News' Sonoran Living Live for helpful advice. This morning's segment of Sonoran Living Live, with host Stephanie Sandoval, showcased Life Design Event Planning in their "Tips to Planning the Perfect Spooky Soiree." I was honored to share my own tips to help plan that perfect party and was also quoted; "...mix old and new ideas to create a fun and festive Halloween event." Practical tips to use for your party are included in this feature, such as: fun and different ways to utilize Halloween candy, healthy alternatives to the traditional sugary treats, how to incorporate Mr. Jack-O-Lantern, and how to create a memorable event. Click here to read the article and view the video. Thank you Sonoran Living and Stephanie Sandoval for including Life Design Event Planning! 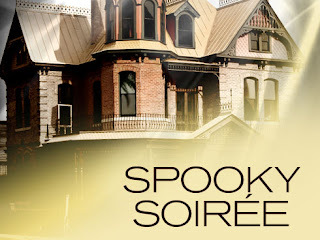 What are your tips for planning your perfect spooky soiree?